If you've ever wondered what made Sleepy the Dwarf so tired, Grumpy so standoffish or what particular allergies set off Sneezy, you may soon get a chance to ask the one person who would know best, Snow White herself. Don't be impatient, though. To get to her, you may have to navigate a kerfuffle between Peter Pan and Captain Hook, stumble upon Cinderella's missing slipper or fall down the proverbial rabbit hole with by Alice in Wonderland, the Queen of Hearts and the Mad Hatter. Access to these icons comes courtesy of Eastside Theater's Character Cafe. 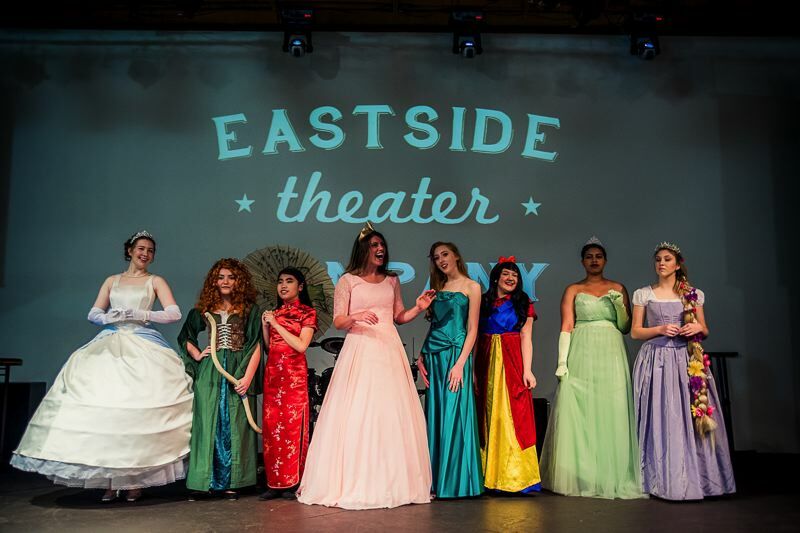 For the second consecutive year, Eastside will connect the public with a bevy of beloved characters and heroes from the Disney family and beyond, portrayed by up to 40 local actors. This year's free event will take place from noon to 3 p.m., Saturday, April 13, at Springwater Church, 3445 S.E. Hillyard Road. Liz Bertsch, Eastside Theater's artistic director, came up with the Character Cafe concept last year. Thirty actors chose famous characters to study and dress as. The mission was to mingle with the public while remaining completely in character throughout the three-hour affair. Suffice it to say, a fine time was had by all. "It had been a big hit," Bertch said, noting the idea started with her finding a special yellow dress at the Sandy Goodwill. "I thought if we could provide opportunities for families to get to meet and experience the characters — many aren't able to venture to places like Disneyland and Universal Studios — they could still enjoy that experience without the cost. We thought, what a cool way for our organization to provide an opportunity for families, especially those in the East County area." The plan is to expand last years cast of 30 characters by about 10. "We've added in some superheroes and other characters we didn't previously have," Bertch noted. "We have some good ethnic representation with specific princesses, so we have a good set of individuals that many families can connect with." Ideas for characters come from a combination of costumes Eastside Theater has access to, along with submissions and ideas from various actors. 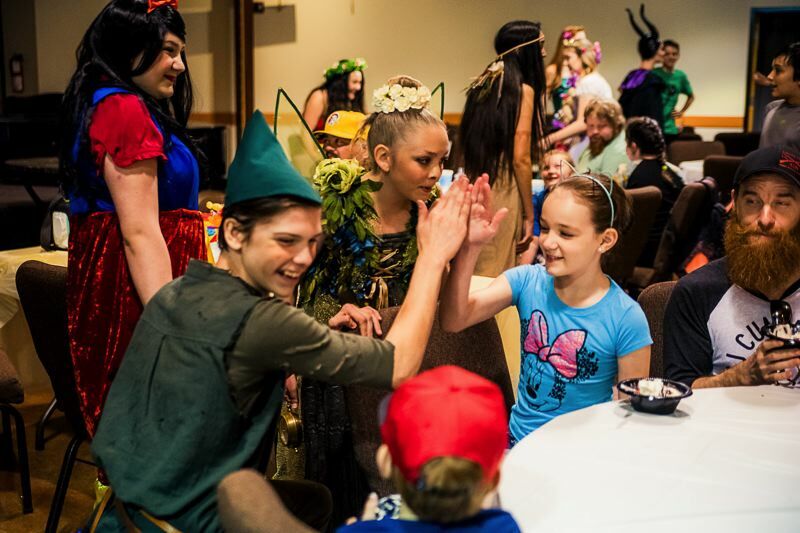 "Last year we did a show with Peter Pan, so we already had a Captain Hook, Tinkerbell and Peter Pan costume set," Bertsch explained. 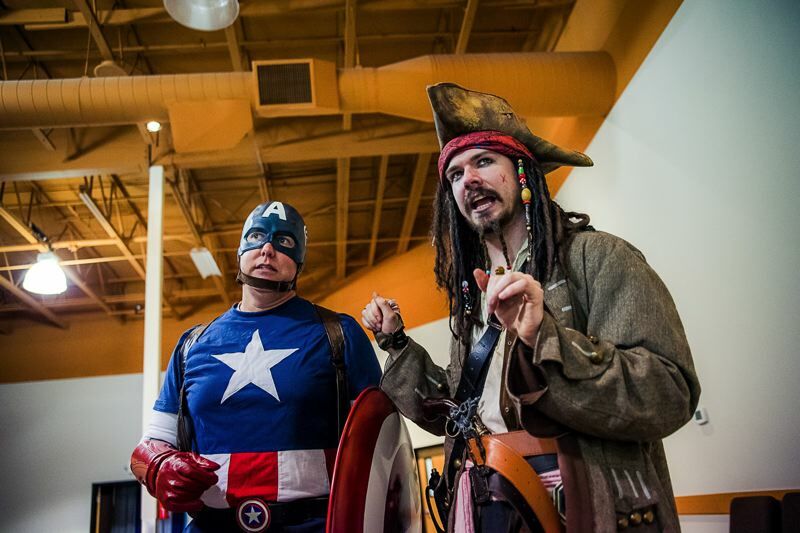 "So we had a casting call for actors to come in and be those roles ... It's much like a film-style casting call where you submit your resume with your experience as a performer, along with a photo. Based off that info, we're doing an in-person audition to see if your skills match ... and from there we choose a character that is appropriate (based on) physical appearance as well as skill set." The casting call recently closed, leaving Bertsch and her Eastside colleagues to focus on finalizing the list of actors, characters and costumes. Like last year, there's been no lack of interest from local actors to join in. "The turnout's been fantastic," she said. "The actors who have submitted resumes all have a lot of great skills and qualities. There's a good, diverse representation ... (many) should meet the iconic expectations of the characters they'll be playing." Those who attend will find themselves in a quasi-ball-type setting. The characters will mill about freely, posing for photos and otherwise interacting with guests — and sometimes each other. "Last year Captain Hook and Peter Pan had a swordfight," Bertsch recalled. "Younger kids were dancing with princesses. We had times when our villains were often accompanied by a hero or heroine as a partner." Last year's experience gives this year's production crew a solid template to work with and improve upon, which Bertsch believes will create a truly fun and meaningful experience. "It's an honor to be able to do a free event," she said, "and do something that creates long-term memories for families, and especially children."